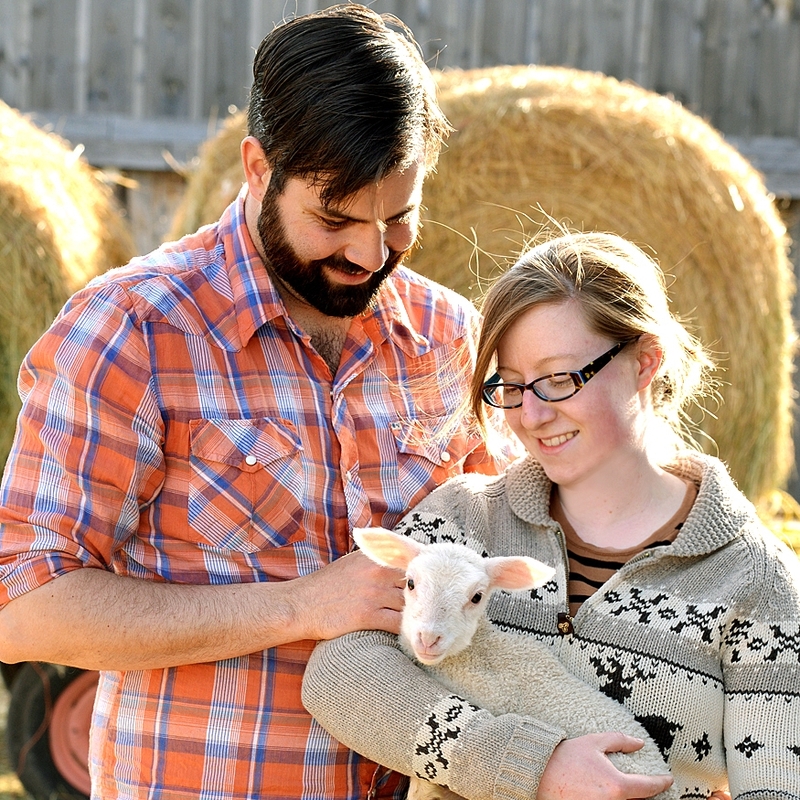 We are a husband-and-wife team producing farmstead raw sheeps’ milk cheeses, grass-fed lamb, and all-natural wool products. After graduating from university we returned to the rural community where we grew up with plans to start a small-scale sheep dairy completely from scratch. In the fall of 2010 we began with 10 purebred British Milk Sheep ewes, one ram, and two llamas. In our first season on the farm we renovated our heritage barn, installed a milking parlour and built the creamery. The following spring brought on the arrival of 13 lambs, a new rotational grazing system, and most importantly the beginning of our first milking season. Thus began our first experiments with cheese making! We are anticipating another busy summer in 2019! We have grown from 10 to 64 milking ewes and anticipate the arrival of around 150 lambs this spring. Milking will start up again for the season in May and the start of this year's cheesemaking will follow soon after.